Conductor Jason Noble will lead his marvelous Scarsdale High School Wind Ensemble on a tour of Melbourne (at the Edge Theatre, pictured here) and Sydney where the group will perform works by John Mackey, John Philip Sousa, Percy Grainger, and my work Wanderlust commissioned by the Scarsdale band. The Scarsdale HS Wind Ensemble has performed on stages in Austria, Hungary, the Czech Republic, and three times in five years at Carnegie Hall in New York City. Please see the Events page for more information about the location of their concerts! I have launched the Emblems Quintet along with my colleagues Merryl Monard, Alex Hayashi, Clarissa Osborn, and Caroline Steiger. We have been reaching out to composers around the world to submit their music as well as repertoire suggestions that enliven aspects of our mission statement. Our online presence has taken off thanks to Facebook, Twitter, and Instagram. During May and June, we are recording works to build our portfolio and offline presence as well. Learn more about Emblems. 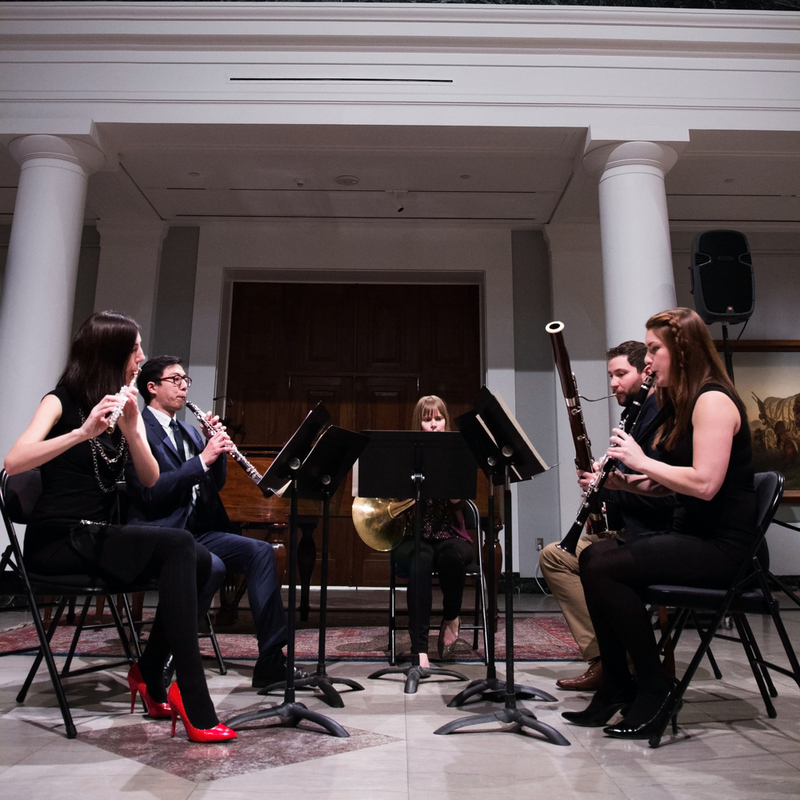 On June 8, 2016, the Trade Winds Quintet will premiere Emblems for wind quintet at the Umoja Centre, a youth organization in Arusha, Tanzania as a part of their residency that includes teaching, workshops, and performances. This will be the first performance of my concert works outside of the United States, and I am honored that the Trade Winds Quintet has commissioned this piece for their residency! I have previously set two of American poet Geoffrey Nutter's incredible poems in my cycles In the Primal Garden and Remembering the Clouds. For my DMA dissertation work, I am collaborating with Mr. Nutter who is creating several texts exclusively for a new song cycle that will be completed in 2017. To learn more about Geoffrey Nutter, check out this feature on Gwarlingo.com or his writer's page on Wave Books. Limelight (look/listen) for flute, clarinet, violin, cello, and piano has been selected for a performance in Boston, Mass. 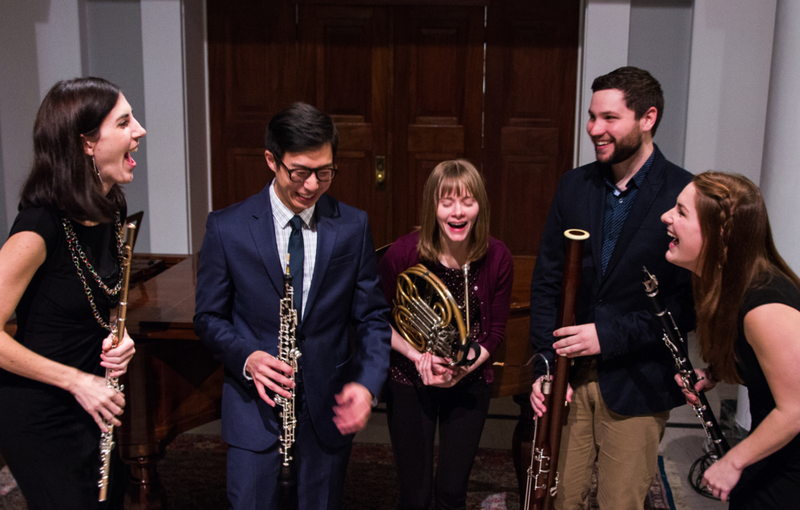 for the Boston New Music Initiative 2015–16 season! More details for the upcoming season will be posted soon. Limelight was composed, workshopped, and premiered at Brevard Music Center during the summer of 2013. Epitaph for a Darling Lady (look/listen) for soprano, clarinet, and piano has been selected for three fall performances by the incredible trio, sTem, out of New York City. For more details about their performances, check out the Events page. Epitaph for a Darling Lady was composed and premiered at Brevard Music Center during the summer of 2012.